Who is the sentinel of the forest? Where does the owl go and sit after gliding silently across the hill? 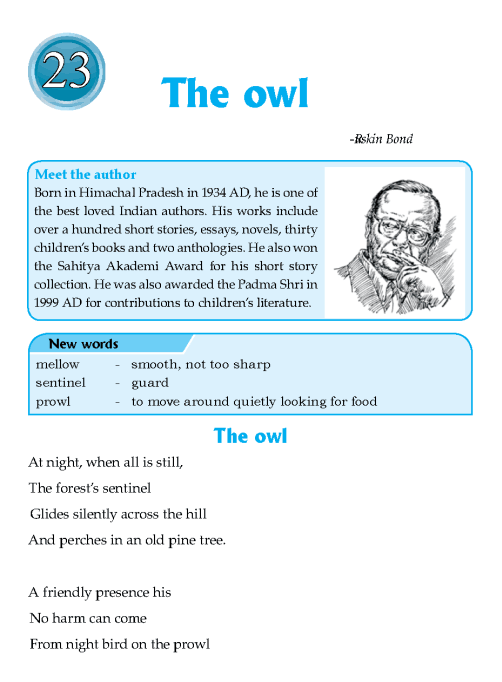 The poet compares the owl’s call with one of the birds. What is the name of the bird?